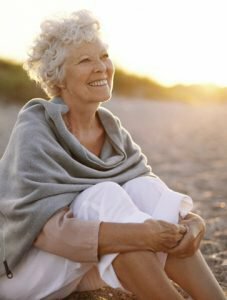 Implant dentistry is an ideal solution for our Seattle – Edmonds	area patients who are looking for a natural and durable solution to replace	missing teeth due to injury or disease. If you are in good oral health,	with sufficient jawbone mass, a tooth implant procedure is among the most	successful options available. Age –	Receiving a tooth implant is an excellent solution for replacing missing	teeth, whether you are young, middle-aged or a senior. We usually recommend	that children wait to receive a tooth implant until the jawbone is mature. However, there are instances when implant dentistry might be part of a	child’s orthodontic treatment. Adequate Bone –	In order to place a tooth implant, adequate bone mass is necessary*. Often,	when teeth have been missing, bone mass has been lost. Bone can often	be grown with a process called bone grafting and Seattle tooth implant	dentist Dr. Nejad can provide options if there is not sufficient bone	mass to support the tooth implant. Oral Health –	If your health allows for routine dental treatment and there is adequate	jawbone structure, you can probably have a tooth implant placed. Dental Hygiene – Implant dentistry has a high success rate when the patient is committed	to regular dental care, including brushing, flossing, and routine dental exams. Periodontal Disease –	Patients who have lost their teeth due to periodontal disease or decay	are most often excellent candidates for successful implant dentistry. Dentures – Implant dentistry can be used to secure and stabilize your removable denture,	improving comfort and function. Smoking – Although smoking lowers the success rate for implant dentistry, it doesn’t	eliminate the possibility of being a candidate for a tooth implant procedure. * In order to assess whether you are a candidate for a dental implant,	current standard of care dictates that a 3D image of your jaw be taken. Because dental implants are most often placed near vital anatomic structures	(nerves, blood vessels and sinuses) a 3D image allows Dr. Nejad to properly	plan and safely place your implant. Additionally, new, sophisticated software allows Dr. Nejad to plan your	care virtually and create a surgical guide for precise placement and shortened	procedure time. For your comfort and convenience, Dr. Nejad is one of	the few dentists who offers 3D imaging in his Mountlake Terrace office. Our new, state-of-the-art i-CAT Precise dental cone beam CT machine will	get the job done quickly, comfortably and with the lowest possible radiation dose. How Do I Get Started With Implant Dentistry? Getting started with implant dentistry is as simple as picking up the phone. Isn’t it time for the smile of your dreams? Give us a call today if you are in Mountlake Terrace, Edmonds, or Shoreline.